As you'd expect, Washer Pump is a commonly used part. It's been used by YourMechanic in hundreds of appointments. On average, these jobs have been completed with a rating of 4.6 out of 5. This part is required for one service: Windshield Washer Pump Replacement. There are 1 different types of Washer Pumps - Rear. The windshield washer pump is a small electric water pump. When the washer pump is activated, it takes the washer fluid from the windshield washer reservoir and directs it to be sprayed through the washer jets onto the windshield. It is an electrical component that can fail over time. If you don't see any fluid coming out of the washer jets when you activate the windshield wiper switch, ask the mechanic to check the tubes for cracks and the nozzles for clogging. Whenever the windshield washer pump is repaired or replaced, the entire windshield washing system should be inspected. It’s possible that the nozzles or the wiper switch are actually the cause of the problem. 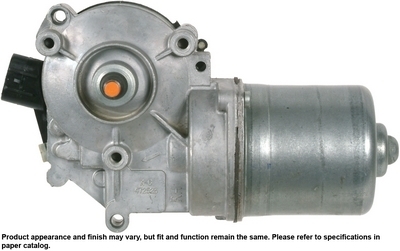 What common symptoms indicate you may need to replace the Windshield Washer Pump? When the washer pump is activated, washer fluid doesn't spray on windshield. Test operation of the wiper switch. Make sure the nozzles are not clogged. Test for power and ground at the washer pump. Remove and replace the washer pump. Test for proper operation of the washer system. I had recently bought a car and noticed some minor leakage that turned out to be washer fluid. Although it was critical, I did want it to be repaired and Truman did a great job at stopping the leak. Originally we thought there was a crack in the washer fluid reservoir itself, but Truman was able to find the part responsible for the leak: the washer fluid pump. After going to a nearby store to get a new pump, he quickly and perfectly put my car back together and confirmed everything was in working order. Truman was very friendly and knowledgeable. He even gave me tips on car maintenance and inspected my vehicle.